All of the timber has been skidded and processed. The remaining logs will be transported off site on Thursday. The stadium loop has been roughed in and needs some more material in the southern portion and then final grading. The maintenance building footings have been poured and the foundation walls are being erected. Today the footings for the Daylodge are being set up. 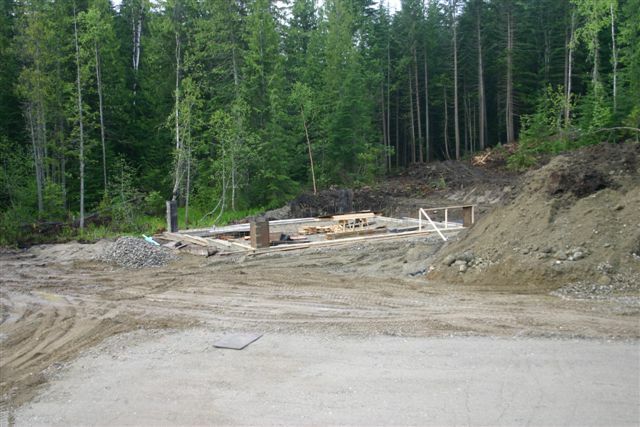 By the end of the week we are hoping to pour the footings for the lodge and foundation for the maintenance building. The amount of support we are receiving from local contractors is amazing. This is truly a community project….Thanks to all those contractors! If you haven’t come out to take a look, things are looking like a building site now. Bob and his crew are doing an excellent job. Photo: The maintenance building’s footings are being set up. 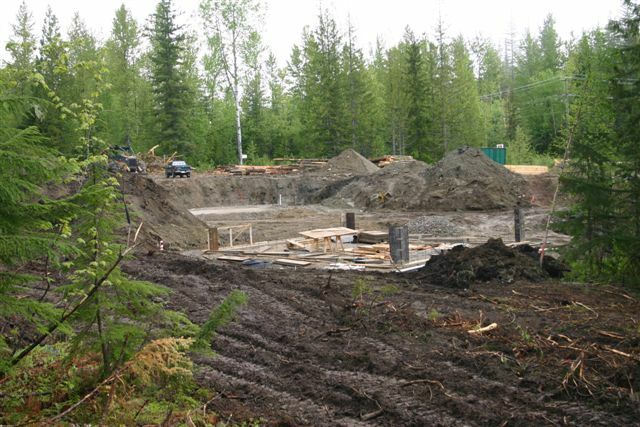 Photo: The maintenance building’s footings are poured (background) and the foundation walls are being erected. The lodge building site is in the foreground. Photo: The maintenance building’s footings are stripped and the foundation walls are being erected. 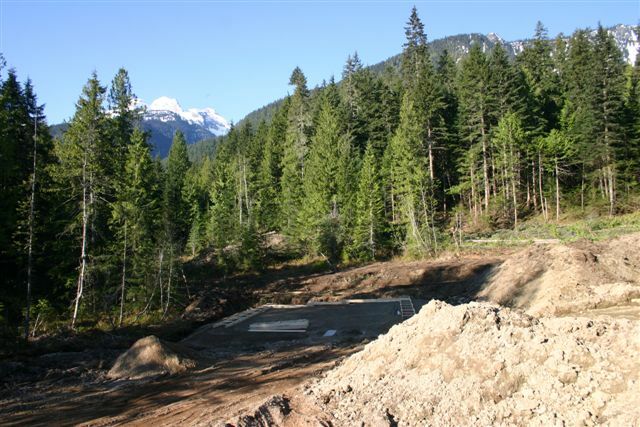 The lodge building in the foreground awaits footings. Photo: View of the maintenance and lodge buildings from the south. The stadium loop is roughed in (foreground) with the parking lot in the far background. We have come a long ways in the last two weeks. Wednesday, April 28 was the official start date of the facilities construction and the first tree was fallen. 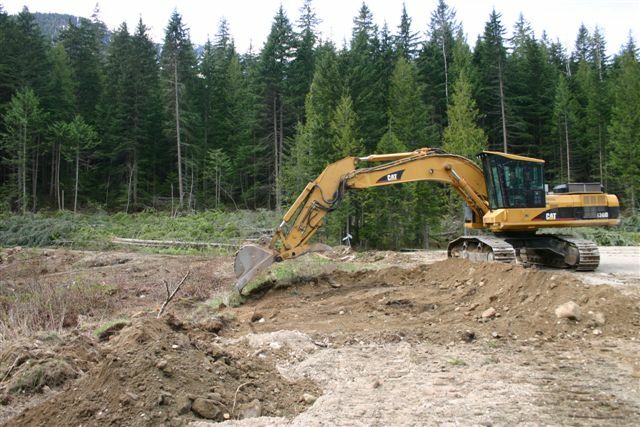 The May 1 weekend was when the clearing for the sites started and now we have our holes dug and building placement decided. We will be starting on the maintenance building first and this week we will see footings placed and the construction of the foundation walls starting soon. We have hired Bob Dickson as our journeyman carpenter. 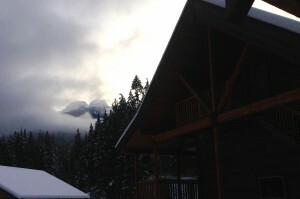 Bob has extensive building experience in the Revelstoke area. Most of you probably already know him but if not stop by and say hi….he’s a pretty nice guy. We currently have two apprentice carpenters working, and plan to bring on another two in the following weeks. The support for the project has been staggering. Glen O’Reilly of Selkirk Design-Works created our beautiful lodge on paper…nice job. Speers Construction has helped immensely by donating machine time. Ed Vigue has donated his time as operator, Dave Mair helped with fuel, and Kepex has helped out with hauling gravel to the site. Sure-Haul has helped us get some equipment on site and the Ministry of Forest Wildfire Branch helped fall the trees. 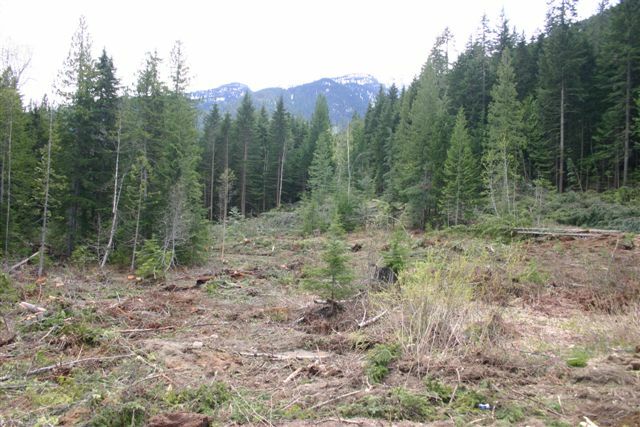 There also has been support from innumerable people from the Ministry of Forests and Range, Ministry of Tourism, City of Revelstoke, Columbia Shuswap Regional District,, Revelstoke Employment Service Center and many others. Thanks to you all, we couldn’t have gotten to this point without you! The Club would also recognize the financial support from the BC Job Creation Partnership Employment Layout Market Services Division, Columbia Basin Trust, CSRD Economic Opportunities, the Province of BC Resort Municipality Funding Program, and the Revelstoke Credit Union on top of all the local support we’ve been getting. Photo: Breaking ground. This is the location of the day lodge with the north end of the stadium loop in the background. Photo: Maintenance building site with the trees removed. The southern end of the stadium loop is in the background. 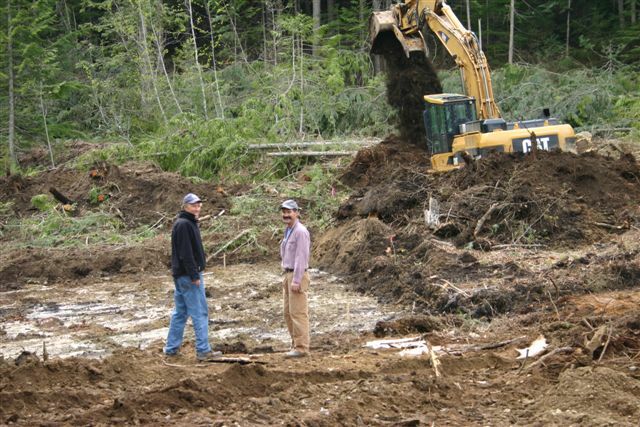 Photo: Bob and Dave at the site of the maintenance building. This is just after the building location was staked. 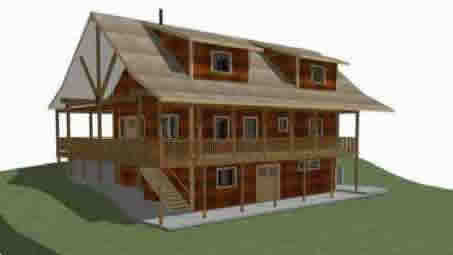 April 2010: To view the renderings for the new lodge, produced by Selkirk Design-Works, click here. We are slowly marching ahead with our plans for the new Day Lodge, Custodian Residence and Maintenance Storage Facility. As you may recall, we have raised $350,000 ($75,000 from CBT, $125,000 from the CSRD Economic Opportunities Fund, and $150,000 for the City of Revelstoke’s Tourism Infrastructure fund). In addition, the Club will be investing $50,000 into the project. We have additional potential funding for wages from the Province of BC which at the time of writing, has still yet to be officially confirmed. However we are hopeful it will be approved. We have officially submitted our development plan to the Province for review and approval of our proposed Licence of Occupation (LoC). The LoC is for a small area to cover the buildings and associated infrastructure. As one might expect, the process is taking longer than we would like but we are still hoping to begin construction this coming spring or summer. It is our goal to have the facilities up and running by the start of ski season next fall. 93 votes, Option 4: Day lodge, maintenance storage facility, custodian’s residence, a trail-lighting system for Mickey Olson’s Trail and development of a mini hydro project on the unnamed creek that crosses the Mickey Olson trail. 5 votes, Option 3: Day lodge, maintenance storage facility, custodian’s residence, and trail-lighting system for Mickey Olson’s Trail. 10 votes, Option 2: Day lodge, maintenance storage facility and a custodian’s residence. 2 votes, Option 1: Day lodge and custodian’s residence. 7 votes: Voted “yes” but no option chosen. 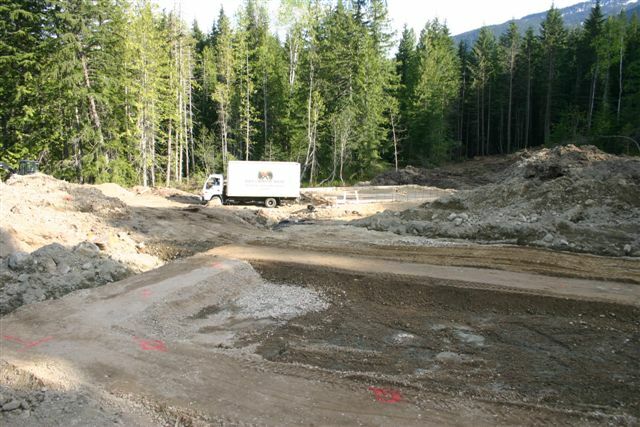 On October 13, 2009, the Revelstoke Current posted an article about the proposed new facilities, click here to read it. Nordic yoga will be offered again starting Monday September 14, 2015. It will be Mondays from 7:30-8:45pm for 11 weeks at a cost of $110. To sign up, please contact Noelle at yogarevelstoke@gmail.com. The Revelstoke Nordic Ski Club is seeking a Club Manager for the coming season to ensure effective and efficient operations of the Nordic Club and its facilities under the direction of the board of directors. This will be a 5 month salaried position, based on 30 hours per week, starting in early November. Remuneration will be between $15 and $18 per hour, depending on qualifications and experience. Please send resume and cover letter to info@revelstokenordic.org by September 4th, 2015. The Revelstoke Nordic Ski Club is a member-run club with over 500 members and a board of directors, operating at the Mount Macpherson Recreation Trails network. RNSC maintains 26 kilometers of groomed Nordic trails for both classic and skate skiing, including 5km of lit trails and a dog-friendly loop. The Club Manager is responsible for assisting to ensure effective operation of the Revelstoke Nordic Ski Club and its facilities under the direction of the board of directors. Marketing of club services and programs to hotels, booking agencies, etc. The Club Manager will report directly to the Club President (in lieu of a President, the CM will report to the Director of Facilities). The position is based on 30 hours per week, starting early November 2015 to April 2016. Remuneration is between $15 and $18 per hour, depending on qualifications and experience. 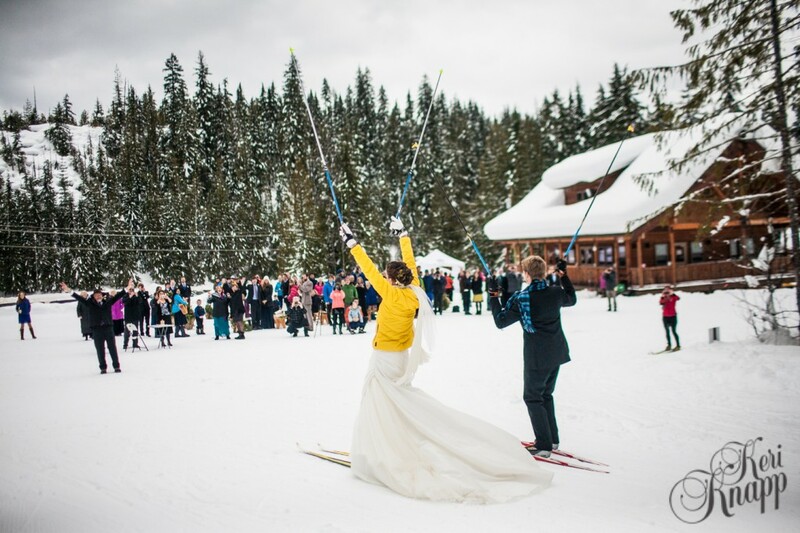 2014-15 was another successful season for the Revelstoke Nordic Ski Club! For the past three seasons, Alta Gas has generously provided financial support for the club’s Head Coach position. This support has been paramount to the club’s ability to grow and develop its youth programming, in addition to increasing the profile of Nordic skiing within the community. The Head Coach is directly involved with coaching the Ski S’kool, adult classes, clinics, private lessons, the Revelstoke Nordic Ski Team and coordination of Headlamp Heroes. 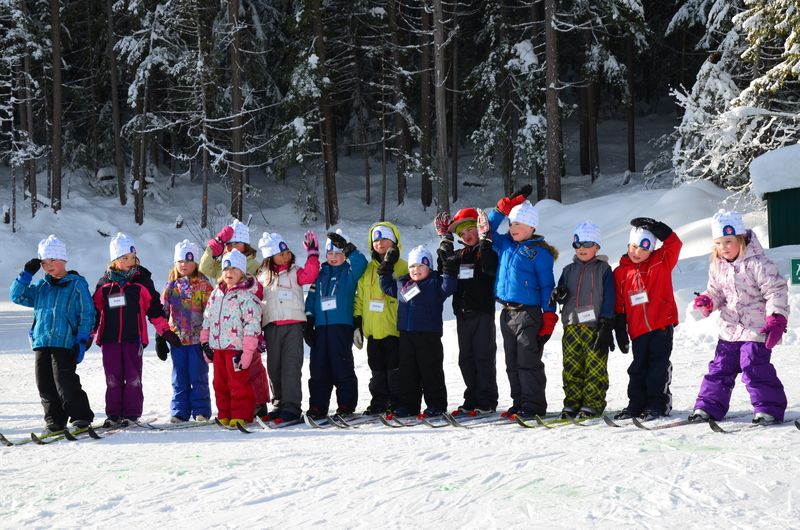 Our Ski S’kool program effectively provided Nordic instruction to 84 3rd and 4th grade students from Arrow Heights, Ecole des Glaciers, Columbia Park and Begbie View. Each group took part in four weekly, three-hour sessions at the Macpherson Nordic trails. In addition, 40 1st and 2nd grade students from Begbie View were offered the opportunity to try Nordic skiing with a one-day introductory session. Finally, a new partnership was forged with the Revelstoke Secondary School and four physical education classes ranging from grades 8 -12 were each offered two, three-hour session at the Macpherson Nordic trails. Thanks to the generous support from our local school board and teachers, parent helpers and coaches, namely, Louisa Fleming, Nancy Martin, Tayla Koerber, Kendra von Bremen and Rob Evans. New for the 2014-15 season was the addition of Adult Beginner classic and skate classes. 15 students participated in the beginner sessions, offered on a weekly basis over the course of eight weeks. Our technique-based Adult Intermediate and Advanced classes alternate between classic and skate technique for ten weeks. This program continued to be successful with 12 participants partaking in the five-session offering and three skiers opting for the full ten-session program. 11 skiers took part in the January One Day Clinic and 15 skiers sought private or semi-private lessons. Finally, the Wednesday Night Open training sessions gained momentum as a growing crowd of fitness enthusiasts were dedicated to the intensity-oriented sessions. In its second season, the Headlamp Heroes Wednesday Night Race Series provided entertainment and competition on a monthly-basis. The series begin with a classic interval start event in December; King’s Court-style skate sprints in January; a skate mass start in February; and a mixed-technique relay in March. 140 participants took part in the race series, which was generously sponsored by Skookum, The Village Idiot, Valhalla Pure and Flowt. Thanks to Wade Viznaugh and Debbie Koerber for their respective leadership roles with course setup and registration. The Revelstoke Nordic Race Team enjoyed much success during the 2014-15 season. There were a dedicated group of 17 Track Attack skiers (aged 9 -12) and 11 Junior Development skiers (aged 13+). Formal training sessions were offered twice weekly in the summer; two to four times weekly in the fall; and three to five times weekly while on snow (frequency dependent on level of development). In addition to formal group training, seven Junior Development skiers followed a year-round training program. Superb coaching support was integral to the program’s success, with newly trained T2T coaches Rory Luxmoore and Bruce Granstrom providing consistent support for the Track Attack and Junior Development skiers. Clare Peacock also offered coaching support throughout the entire season, while Matti Little led our summer program. Nikki Norrie and Revelstoke Nordic Race Team alumni Hanna Thompson and Brittany and Megan Evans generously offered their coaching services when available. Finally, a huge coaching thanks to Phil Wood and Zina Kocher for offering their expertise and enthusiasm at our Holiday Camp and Revelstoke BC Cup, respectively. Penny Page-Brittin was instrumental in her role as lead Wax Technician, receiving assistance from Lucie Bergeron, Beverley Brosch, Brad Park, Janette Vickers, Rory Luxmoore and Bruce Granstrom. In addition to the aforementioned coaching and waxing aides, a big thank you goes out to the parents and families of skiers for providing ongoing support throughout the season. The Revelstoke Nordic Race Team is proud of their accomplishments this past season and equally important is the continued growth in energy and enthusiasm for the sport of Nordic skiing. Congratulations to our Director of Youth Programs, Robyn Thomas and our Athlete Development Committee for their hard work orchestrating a successful year. Our club is grateful to Alta Gas for providing us the opportunity to develop capacity within our ski programs over the past three seasons. To download and view the 2013/14 AGM report, follow the link! Mt Macpherson Ski Area is located 7 kilometers south of the Trans Canada Highway on Highway 23 South (address is 2265 Hwy 23 South). For emergencies needing transport off the ski trails call 911, describe the nature and location of the emergency and ask for Search and Rescue. Unless trained individuals are available the injured person should not be moved until SAR attends. First Aid packs with blankets and first aid kits are kept at the Ole Sandberg Cabin and in the Day Lodge Office. If the victim cannot ski out on their own, use these packs to keep the victim warm until Search and Rescue can assist them. The RNSC owns a snowmobile equipped with a toe bar and a rescue toboggan that are stored in the maintenance building. The snowmobile is only to be driven by individuals that are familiar with snowmobile operation. Only trained first aid attendants are to use the rescue toboggan to transport injured persons. Overall direction and responsibility for club activities. Ensures that Directors meet their responsibilities. Represents Club to government and other agencies. Works with treasurer and Secretary to file reports to government agencies, funders and Society. Coordinates fundraising and writes Grant applications. Personnel –ensures that all paid staff have a job description, recent criminal record check and annual performance evaluation. Is an ex-officio member of all committees. Responsible for maintenance of Day Lodge, Maintenance Shop and all other buildings. Supervises any construction or repair projects to these buildings. Coordinates with the Ticket Office Coordinator. Responsible for reading the log book and dealing with the feedback. The Club Executive is elected at the AGM each year in April. A term on the Executive is for 2 years. If the Club is to continue thrive and grow into the future, it needs new individuals that bring new ideas and enthusiasm to the board. Please consider putting your name forward to become a member of the Executive. For further information, please contact any member of the Executive. 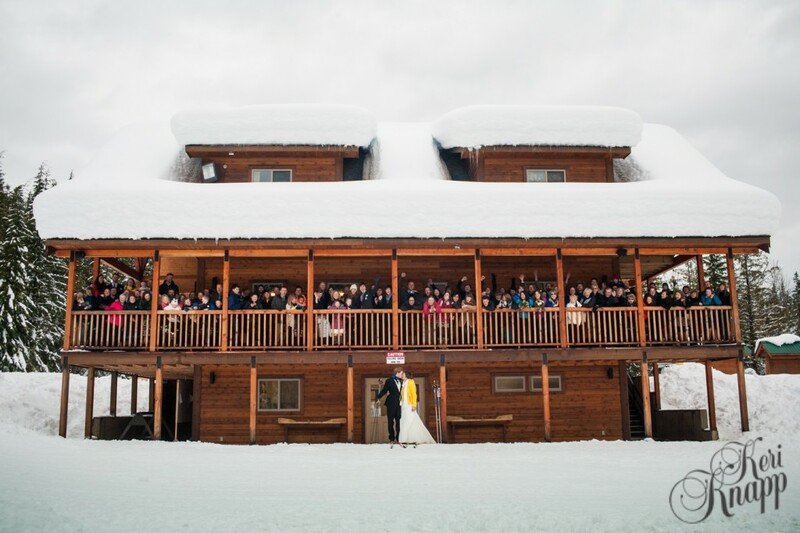 Congratulations to Jeff Ferguson and Natalie Stafl on their recent marriage at the Nordic Lodge! 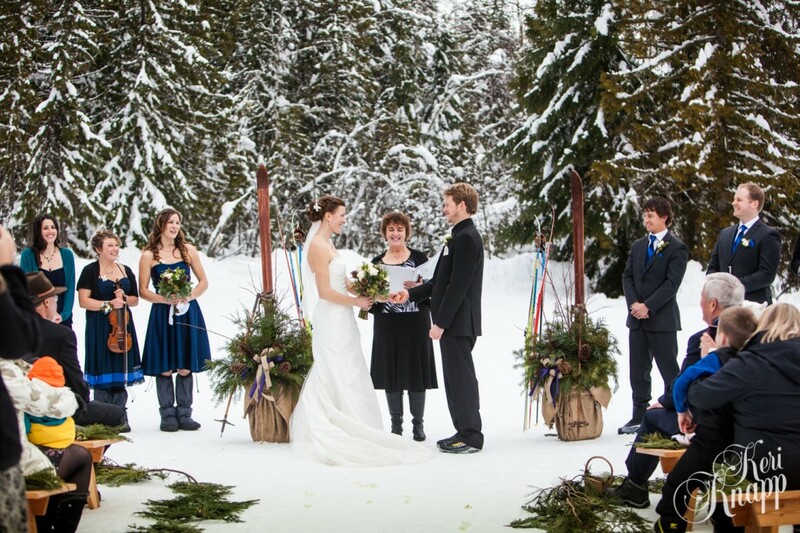 It was a beautiful ceremony on a perfect day.